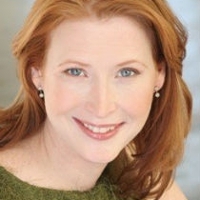 Wendy Powell is a voice actress with roles ranging from Envy in Fullmetal Alchemist to varying roles in over two dozen other productions. She has played Kaoru Toudou in Baka and Test, Emi in Baki the Grappler, Toraji’s Mother in Bamboo Blade, Irma in Birdy the Mighty: Decode, Amick Hendar in Blue Gender, and Ms. Hongo in Burst Angel, among many others. Currently she works in the field of education.